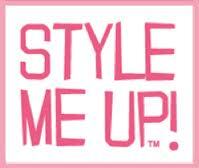 Lets Get Creative With Wooky! Last week I was introduced to Wooky Entertainment, they are a fresh, young, innovative company that is constantly developing creative brands from its corporate office in Montreal, Canada. Founded in 2007 by experienced toy industry professionals, Wooky Entertainment is committed to developing original, trendy, high quality products at affordable prices. With a global distribution reach in over 30 countries, Wooky Entertainment’s brands combine creativity, trends and marketing. 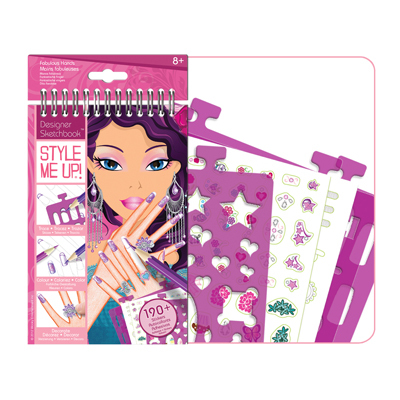 Wooky Entertainment’s line of creative kits are among the leading products for the creative tween and teen brands worldwide. Wooky aims to be a leading provider of entertainment to the young – and young at heart – for years to come. 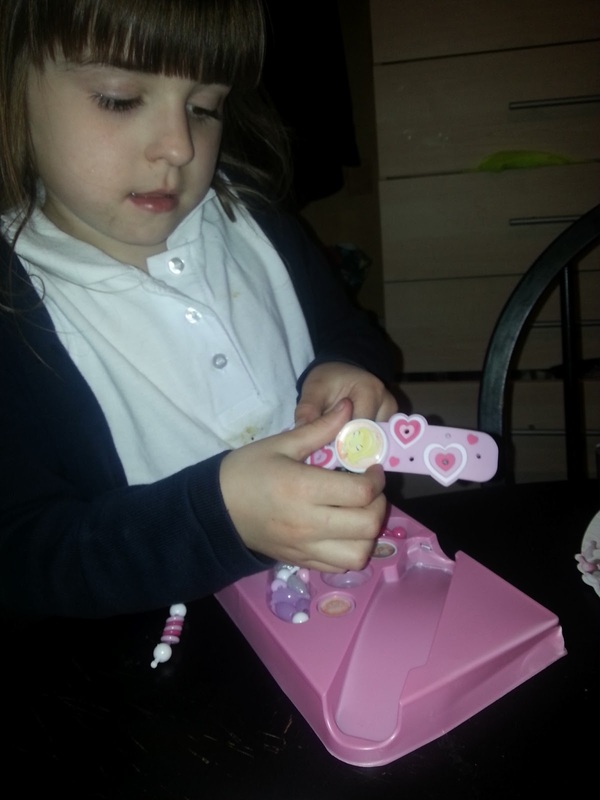 Chloe likes to do her own nails all the time, she's at that age ( now 10 ) where she's enjoying being creative with how she looks. She tried this out for about half an hour quite happily but I do have to admit that she hasn't used it since. I think she just likes doing her own nails more. It's a very cute set that I'm sure lots of girls will love but my Chloe just didn't get it but she's not much of an artist, she's much too old for her age and just prefers to do things. She gave the Style Me Up Fabulous Hands Mini Sketchbook a 2 out of 5. There's nothing wrong with this toy, it's just not for Chloe. Next up Lily had a Mixy Sweet Heart Jewellery Making Set which contains 40 piece assortment of collectible beads, 1 bracelet band and an inspiration booklet. 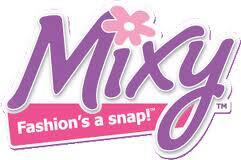 Mixy is a fashion-forward play accessory line developed specifically for young girls aged 4-7 years. With this simple, snap-together system, you can snap, unsnap and snap again for more fun. Complementary, interchangeable and collectable! Mix, match and collect them all. 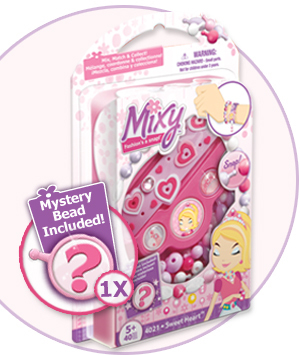 It's a sweet little set which is easy to use and allows our younger girls to create their very own unique beautiful bead bracelets. 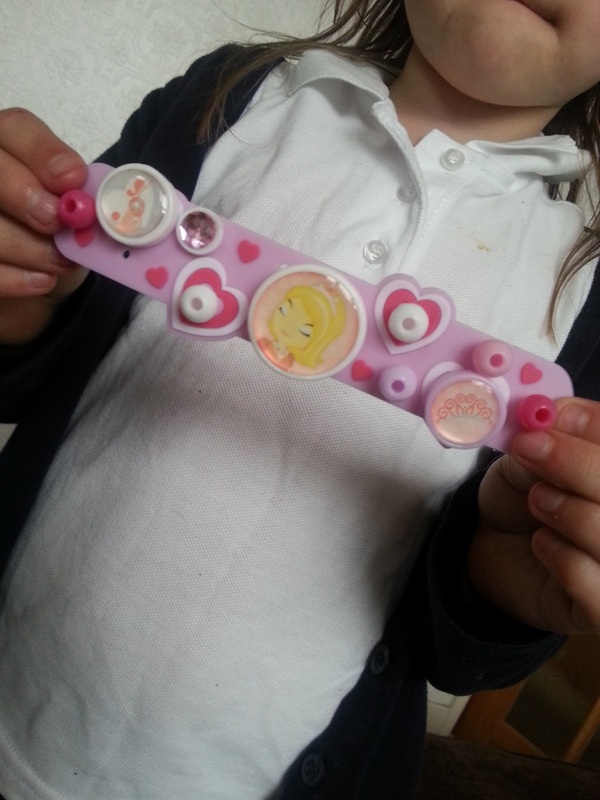 Lily loved this set, she had great fun making her own creations, she really loved the fact that it was something she could do all by herself. 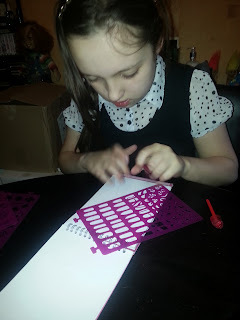 A Lot of the older jewelry making sets are simply too hard for her, this set was just perfect! Lily gave her Mixy Sweet Heart Jewellery Making Set a sweet 4/5. I think she really enjoyed this one. 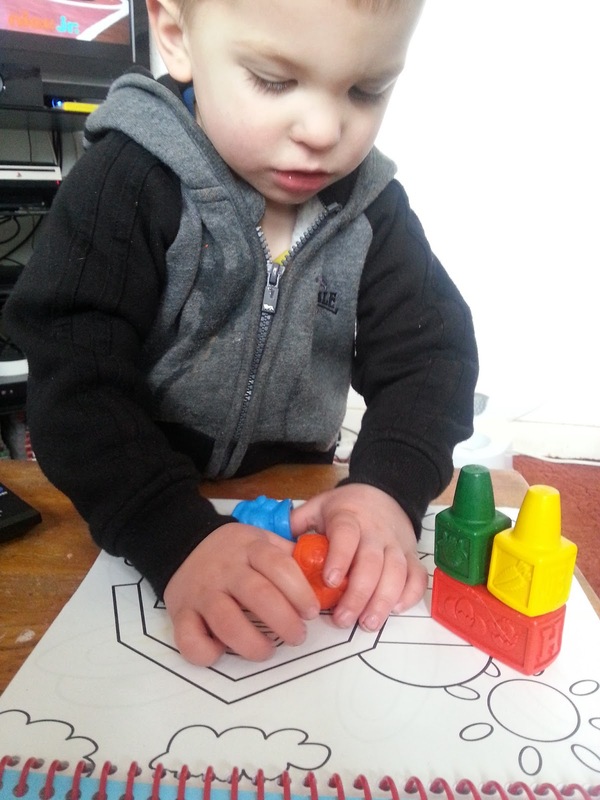 Last but not least, Ryan my youngest toy tester had a Block Crayons Farm Colouring Book. Out of the three products we tested, this is our favourite. 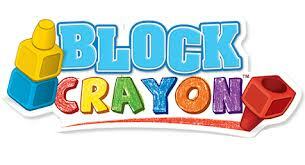 Ryan had hours of fun with this, it's 48 page illustrated colouring book with 5 assorted block crayons is fantastic. 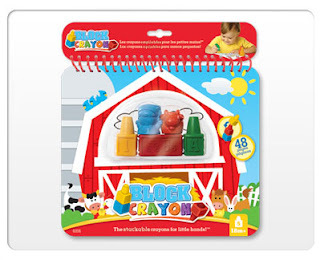 It includes 2 cute farm characters and 1 double tip block crayon. 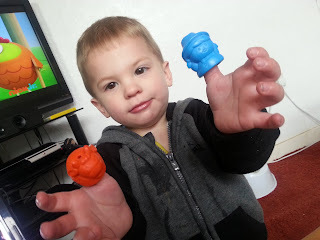 They are nice and chunky, so perfect for little fingers and really easy to hold and use. Ryan adored these, they're not just crayons to him but his new friends, which is so sweet. He puts them on his thumbs and sings the song to "Fly away Peter, fly away Paul. Come back Peter, come back Paul" It's a very sweet sight for any mummy to see. Any toy that makes my little boy this happy makes me happy. 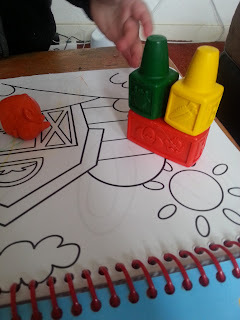 Ryan gave the Block Crayons Farm Colouring Book a huge thumbs up! I think we have a new Block Crayons fan in our house. We were sent the three toys that we reviewed for free for the purpose of this review but that in no way influences our opinions on them. Our reviews are 100% honest! You can check out all of these toys plus lots more over at Wooky.